What is roll marking machine? Roll Marking machine is used for quick and easy marking or stamping, numbering and knurling the parts with round surfaces, both hollow and solid. They can also be used to mark flat surfaces, but with some suitable fixtures. The roll stamping machine provides high-quality marks without exerting much pressure or force on the surface. Our roll marking machines provide high-quality marks in minimum force or pressure. The marking specifications in the roller marking machine are set at default, which can be adjusted according to requirements. 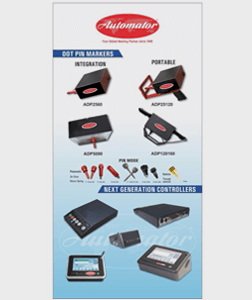 They can be operated both manually and automatically, depending upon the requirements and convenience. 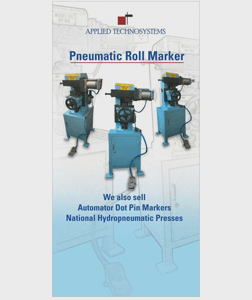 The pneumatically operated roll marking machine efficiently conducts its marking or stamping work on round surfaces made of aluminium, steel, brass, etc. Its easy operation allows fast stamping on round surfaces as well as on flat surfaces, with the help of some fixtures. The high-quality impressions are made with complete precision, and in controlled force or pressure. The depth of required markings can be adjusted in a variety of options available. 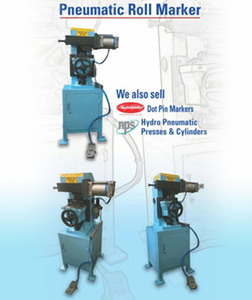 The hydraulic roll machine is used for creating marks or stamps on tools of various shapes and sizes. The best part of hydraulic toll marking machine is, that it can be used on a wide range of tools or parts like taps, engines, pistons, spark plugs, elbows, bends, gears, axles, bearings, etc. Roller Cradle – A Roller Cradle is used to rotate, position and support solid or heavy-walled round parts for marking. Inside the part, a thin-walled tube is inserted to provide support at the back which helps prevent distorted marking and achieve the perfect as required. Marking Holders – The marking holders are available in various styles like round, radial, straight and wedge styles. 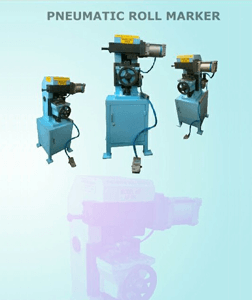 These holders are manufactured through advanced technology with specified steel material by a skilled personnel. The marking tools are specially treated by heat to provide uniform impressions in various design patterns. These impressions or markings provide different designs to suit to customized requirements. Knurl Holder with Bracket – The knurling tool is used by rolling it against the surface of material to create patterns of straight lines, slant or angled lines and crossed lines on it. The same roller contains both the pattern and its reverse design. These patterns are identified as ‘male’ and ‘female’ design patterns.